Pictures of the front, rear and insides of my DECstation 2100. 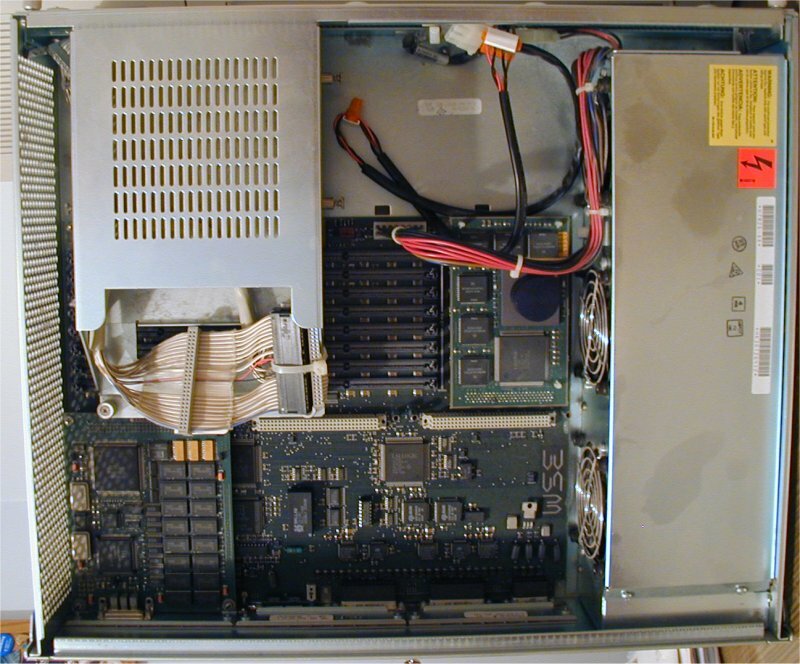 The DECstation 2100 was the first commercially available RISC architecture workstation. 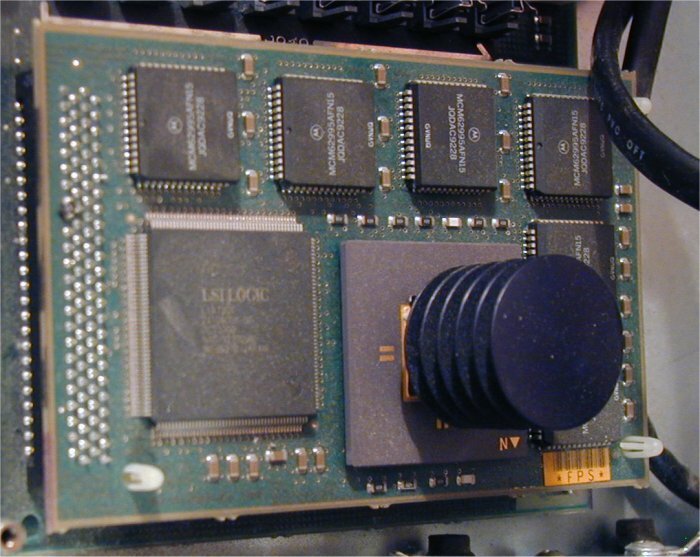 Before Digital had developed the Alpha RISC chips, the DECstations used MIPS brand chips - in the 2100s case, a MIPS 2000 12mHz processor. The 2100 is in a medium-height desktop case, and has lots of open space inside as you can see from the picture. In the upper-right you can see 12 memory slots, one would hope with this many slots it interleaves over memory, but I doubt thats the case. 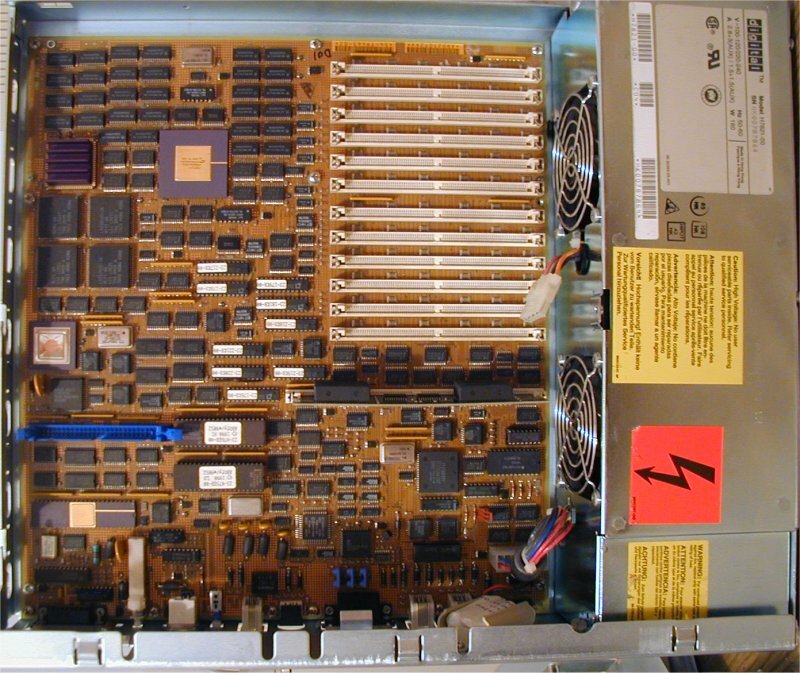 The 2100 uses 80 pin SIMMs (yes, 80 pin), up to 24MB of it. It also comes with onboard SCSI, for internal SCSI hard disks. The drives sit on a steel plate that has been removed for the picture. The front, rear, insides and MIPS CPU card in my 5000/133. Unfortunately, the "133" in 5000/133 is confusing, the 5000 only has a 33mHz MIPS R3000 even though one would expect that to mean 133mHz. C'est la vie. The case is somewhat wider than the 2100, and a fair bit heavier. I don't have any of the correct consoles for these machines, so if they ever get set up, it'll be on a serial console only. I have memory for both machines, but no hard disks.